June 14, 1922 ~ January 29, 2018: She enjoyed her travels after retirement but never felt happier than when she was tending her yard, garden and flowers. Mildred June Sether McEachran, 95, placed her last stamp in life's passport on Monday January 29, 2018 at her home in Yoder, OR. Born June 14, 1922, to Alford and Lural Livingston of Hubbard, OR. 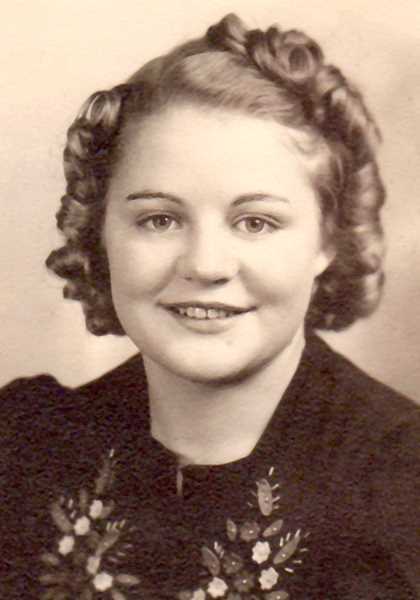 In 1941 she married Norman Sether, and together they had three sons. Norman preceded her death in 1963. In 1968 she re-married to Clyde McEachran and together they enjoyed a few incredible years together before his death in 1973. Mildred worked for Willamette Egg, before returning to school and becoming a testing Specialist for Clackamas County Education Service District until retirement in 1982. She enjoyed her travels after retirement but never felt happier than when she was tending her yard, garden and flowers. Survivors include: Sons and daughters-in-law Donald and Suzan Sether of Molalla, Ronald and Marjorie Sether, Clifford and Marianne Sether of Canby and step-son Mark and Colleen McEachran of Molalla. Mildred's siblings that preceded her death were; Lucille, Ursel, and Ray, and is survived by sisters, Maxine Jones, and Barbara Hyslip. Survivors also include 5 grandchildren, 2 step-grandchildren, 11 great-grandchildren and two step-grandchildren,as well as 5 great-great grandchildren. Service is 2 PM Saturday, February 10th, 2018 at Smyrna United Church of Christ in Canby, OR and welcome to all. Memorial donations may be made in Mildred's name to the Smyrna Cemetery Fund, 31119 S. Hwy. 170, Canby, OR 97013.